Home - ToolBed.com ...get organized! 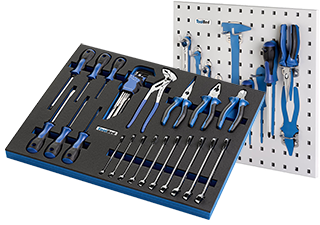 Increase your productivity and maintain long-term organization using professional hard foam inserts, shadowboards, and shadowboard foils for your tools, workpieces, office items, and much more. 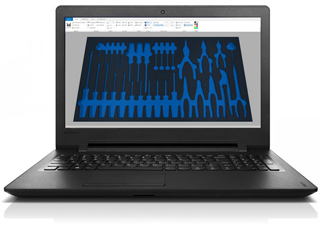 Use ToolBed-Designer, the first to market online customizing software for tool control inserts (since 2005). 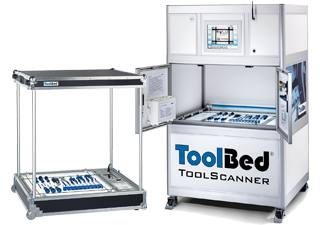 Capture your tool contours on-site with a unique ToolBed-Scanner (world’s first ToolScanner since 2011), or use ToolBed complete service for implementing your tailor-made organization and storage systems. Improve your work processes (CPI) with 5S and LEAN products by ToolBed – customized and inexpensive, starting with just one unit.